What are the No Deductible Glass coverage laws in Wisconsin? Windshields can become cracked or chipped rather easily. As you cruise around Wisconsin in your vehicle, a rock or another object could strike the glass and cause significant damage. Repairing the chip or replacing the entire windshield may be a top priority. After all, this chip can negatively affect the overall look of your vehicle and even your ability to safely drive your vehicle in some cases. Your primary options available when you need to fix a broken windshield are to pay the expense out of your own pocket or to file a claim with your insurance company. In some cases, you may have to pay a deductible to obtain claims benefits, and filing a claim could potentially impact your premium rate in the future. In Wisconsin, your auto insurance company will tell you where to go for the windshield repair or replacement service. However, you can go to a vendor or contractor of your choice if you are willing to pay the difference in fees, if any. Compare car insurance quotes to find the best rate for the coverage you need! Enter your zip code above to get started. In some states, the law dictates that insurance companies cannot charge a deductible on a full glass replacement service. With a zero deductible law, your insurance company will pay for all related repair or replacement expenses. However, this is not the law in Wisconsin, and your auto insurance provider has the ability to charge the full deductible established on your policy as may be stated in your policy. Glass coverage is usually covered under a comprehensive insurance policy. This type of insurance covers most types of accidents and mishaps on the road, but the insurance provider could make you pay the full amount of the deductible. Without comprehensive insurance, there is a good chance that you do not have any type of glass replacement coverage. Some windshields can be replaced for less than the deductible amount. If this is the case for you, it is not worthwhile to file a claim. If you intend or need to pay for your glass service out of your own pocket, it can be helpful to compare multiple service quotes before you make a final decision about which contractor to hire for y our glass replacement service. In some states, glass replacement companies are required to use new glass for a replacement project, but Wisconsin does not have this requirement. 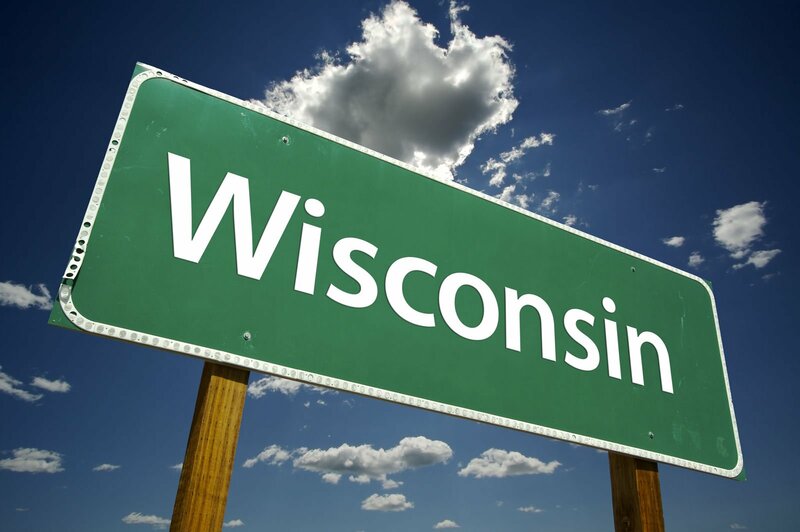 Like many other states, Wisconsin allows the use of aftermarket or used parts. In fact, your insurance company may insist on using these types of glass parts to make the replacement for your vehicle. If you prefer new glass and are filing a claim to pay for your service, keep in mind that your insurance company may require you to pay the difference between new and used glass. Because the rules regarding the use of new versus used replacement glass for your cracked or chipped windshield can vary based on your insurance policy and your location, it makes sense to explore local rules and requirements in your state. You also should review your insurance policy to determine what additional rules your provider has. You do not have to file a claim for broken auto glass repair work in Wisconsin. Because this is not a zero deductible state, it may not be cost-effective for all drivers to do so. If you do file a claim in Wisconsin, your provider has the right to select a glass repair service provider for you to use. The provider’s financial payout on your claim may coincide directly with the cost of services through this specific glass repair company. You are not required to use this specific glass repair company. If you choose to use a different service provider, you will be required to pay any difference in cost out of your own pocket. Therefore, if you intend to keep your out-of-pocket expenses as low as possible, you may want to use the repair company that your provider recommends. Your options for windshield glass replacement in Wisconsin may be directly linked to the benefits defined by your auto insurance policy. Insurance benefits can vary by policy when there are no legal requirements for this type of repair service. Therefore, all drivers in Wisconsin who are dealing with a cracked or broken windshield should carefully analyze their policy and even contact their provider for a clarification of policy benefits before filing a claim. Compare car insurance quotes for the coverage you’re looking for by using our free rate tool below.